Cape Town has officially accepted the title of World Design Capital 2014(WDC2014). It’s a first for Africa and a first for the Global South. 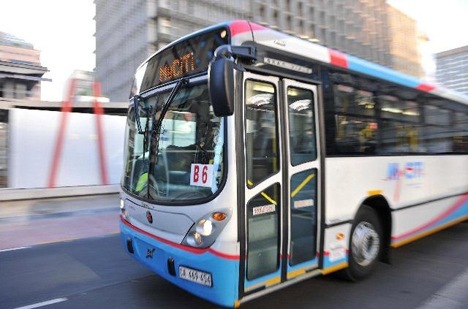 Another World Design Capital first is that Cape Town’s mayor has appointed an industrial designer to help the municipality to internalise design thinking, taking the WDC2014 program beyond simply a year-long festival. An industrial design engineering Masters-graduate from the Royal College of Arts in London, Richard Perez also holds an engineering degree and a MBA from the University of Cape Town. In order to facilitate this design-enabled environment within The City, Perez will be taking a three-year leave of absence from his position of director at …XYZ industrial design consultancy. …XYZ has distinguished itself internationally with its 4 Secs Condom Applicator and Freeplay Wind-up Radio. However it is unlikely that Perez will be designing any gadgets in City Hall. In fact, we ask him, what is there for an industrial designer to do in City Hall? Core77: What is the design brief for your new position at the City of Cape Town? Richard Perez: There are two sides to the job. One is very much focused on identifying and showcasing existing design-based municipal projects for the actual WDC2014 program. 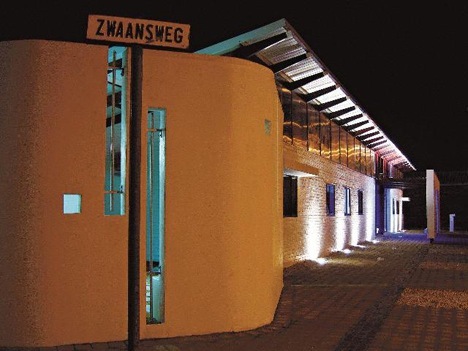 These projects such as the Violence Prevention through Urban Upgrading project in Khayelitsha and the Biodiversity Garden in Greenpoint Park. The other aspect is about bringing design thinking into the organization. South Africa is going to be 20 years into democracy and we’re still faced with the same problems. 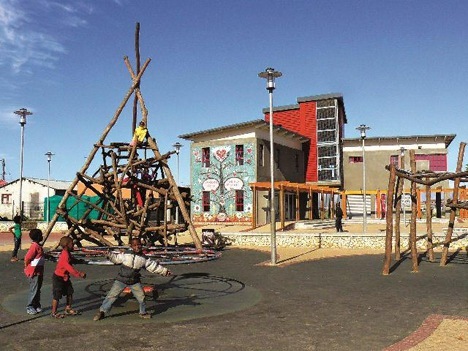 Executive mayor Patricia de Lille has bought into the concept of design as a tool to try something different. She really believes that design, and I would agree with her, can enable us to look at these problems through a different lens and really understand new ways of solving these problems. The mayor is interested in things like densification and the speed of urbanization, in terms of how we deal with that and solutions that accommodate that sort of growth. The city is also still very segregated, so the mayor would like to see how we can use design to make it more of an inclusive city. These are really big “wicked problems” and the thing about wicked problems is that you can’t solve them. The key is to understand them and then manage them through design interventions. We’re not looking for silver bullets to solve these problems forever. It’s about using a design thinking mind to understand the problem, engaging with the stakeholders, engaging with the people that live in the system and then starting to look at solutions. Can you explain wicked problems a bit more? You get tame problems and wicked problems. You can solve tame problems by creating some sort of model or formula that helps you identify and address the root cause. Wicked problems are generally systemic problems and have a lot of social elements. If you change something in a system, something else in the system goes wrong or right. So the key in any problem-solving process is to first identify if it is a tame or wicked problem, because once you understand that it is a wicked problem and has social elements to it, is systemic and completely interrelated, you can map the problem. Design is a fantastic tool to help with mapping and understanding systems and interrelations. Then you can implement design interventions that work over time. Within the iterative design process, you introduce an intervention to a wicked problem with the understanding that something else will change and, because you’ve mapped out the system, you can be pretty sure what that is. How does this compare to the current way that the municipality approaches problems? It is a completely different way of thinking. I was told throughout my engineering education to solve a problem through reduction—you reduce it down to its components and then solve it. In systems thinking you solve the problem by looking at the system as opposed to looking at the individual part. It’s a mind shift. It’s a space of uncertainty and touches on the concept of uncertainty management—how well do people function in an uncertain space. Design is all about that, about managing an element of chaos. Designers don’t know what the problem is from the outset. We know what the system is that we are trying to address and what we are trying to achieve at the end of the day, but at the start of the design process we don’t know what the problem and solution is. Designers have to be comfortable with that and a lot of people aren’t comfortable with that—they want the solution before they start so that they can map it out, determine how long it will take and identify the risks. Design thinking says that we know what we want to achieve but we don’t know what the solution is, so we are going to go through a process to identify it and it’s an iterative process that builds as you go along. You learn a lot through failure. All the companies that innovate celebrate failure because you learn a lot, but it’s got to do be done in a controlled way. It’s very important to go through these learning cycles and, as you go through these learning cycles, build a much more appropriate and grounded solution at the end of the day. As opposed to thinking you know what the problem is, defining a solution, spending four years implementing it and at the end discovering that it’s not the right solution. It’s a brave approach, but also very risky for the mayor. Do you think that voters and citizens will appreciate and forgive failure as part of an innovation cycle? Moderating the expectations of the citizens is going to be one of the biggest challenges. If we can turn the perception of the municipality to one of being innovative, the citizens will embrace it. It will make mistakes because that is part of the innovation process but understanding, reflecting on and admitting mistakes is all part of the design process as opposed to trying to shovel things under the carpet to hide the perceived failures. The critical achievement for me will be to create an awareness of design and that design can add value. It’s quite an abstract concept to say that design adds value because it will add value differently to you and to me. It’s not just a better signage system, bus shelter or mobile phone. Those are the tangible artifacts, but design goes right up to the systems level of processes and service design, which is about the experience of a customer. Within a city environment, it could be the experience of paying your rates including the information that is given to you, the call centers, the backend system, the way the form is laid out etc. Service design is big in the banking sector, but in a city’s case it can extend as far as service delivery in terms of sanitation and water, for instance. What’s also important in terms of managing their expectations is in using a participatory design process. It is a difficult process and involves listening to all the stakeholders to get an understanding of what they want to get out of this. So you may have five or six stakeholders each with a different requirement, but that’s the challenge for the designer—how do you create a solution that addresses all these? If it’s not going to address all of them, then it’s about going through a process to see how we can accommodate or come up with a appropriate solution that suits the system and then iterating through design thinking.